Warriors, alongside Priests (and even Rogues), are often told to be tough to level, especially for new players and at the beginning levels. 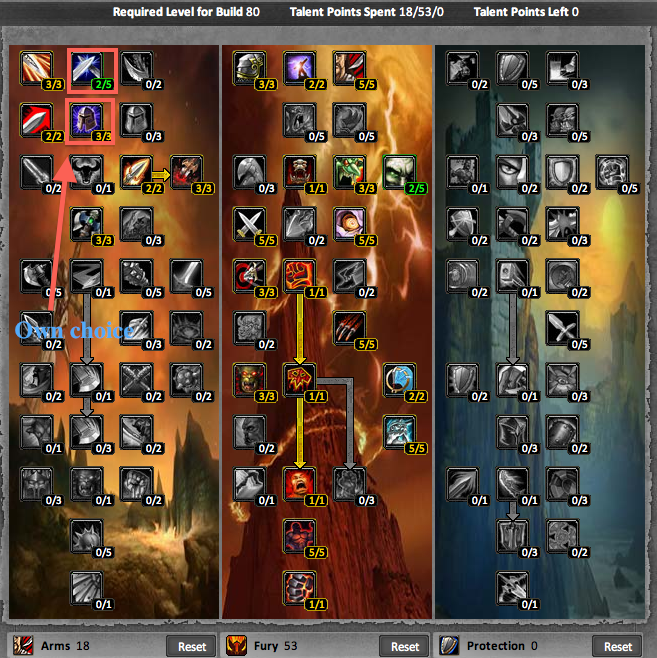 No worries though, because in this guide I will tell you how to make it just a ‘tad’ easier by giving you all information concerning leveling Fury Warriors (sub-specced into Arms), including: talents, rotations (in progress), heirloom gear choices, glyphs, and other tips. Leveling a Warrior can be done with many specs, but in this guide I will tell you how to level a Fury one sub-specced into Arms. Fury is at the very least faster to level (due to higher damage) than both Protection and Arms, and I can almost guarantee you that it won’t be any harder. However, if your realm is very pvp oriented, it might be wise to go deep enough in either Arms or Protection in order to get the combat Charge. The main feature of Fury is to be able to Dual Wield. This build will allow you to pump out massive amounts of consistent damage combined with frequent critical strikes, giving a near permanent flurry buff and maxing out white damage.Use Dual Wield when you get the ability at level 20. If you’re not willing to Dual-wield, perhaps preferring a shield – what the **** are you doing in the Fury tree? Cruelty provides us with a staple damage increase. It also gives us the much needed critical strikes that become oh-so-very-important at the later levels, largely due to Flurry. It’s probably one of the best talents in the tree despite occupying the first tier. 5% crit is expensive at high levels. 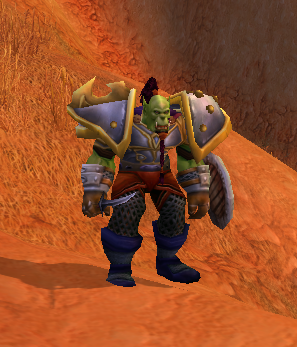 At one point in time I’d favored Enrage over Dual-Wield Specialization. However, that time has passed, and now it’s a good idea to get both. It may not sound like it, but the ‘real killer’ is Flurry. It rounds out the build’s damage abilities with a massive, consistent increase of damage throughout practically every fight. Just one thing; you might not notice it being quite as good as I’m saying until you’ve – A: maxed it out (5/5), and B: built up a decent critical rating. Bloodthirst, Rampage, Improved Berserker stance, etc. All these simply build upon already present damage dealing capabilities. Learn to use them correctly, and they truly become a boon. Use them incorrectly, and you’ll likely notice minimal effect. – Glyph of Heroic Strike (Single Target)- You gain 100 rage when you critically strike with your Heroic Strike ability. – Glyph of Execution – Your Execute ability deals damage as if you had 10 additional rage. – Glyph of Rending – Increases the duration of your Rend ability by 6 sec.